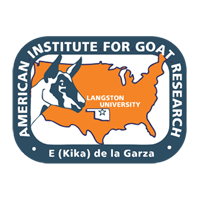 This study determined the responses of early lactating goats fed varying amounts of rumen-inert fat. Alpine does in the first 2 wk of lactation were assigned randomly to four isonitrogenous dietary treatments containing 0, 3, 6, and 9% added fat. The study consisted of a 2-wk preliminary and a 10-wk experimental period. Feed intake, blood glucose, and rumen pH were not affected by dietary treatments. Body weight gain and milk production decreased linearly as dietary fat increased. Peak production was higher with 3% added fat than with 6 and 9%. The somatic cell count, total solids, and lactose contents of milk were unaffected by fat percentage. Milk fat percentage increased linearly as fat percentage increased; milk protein content was highest at 6% dietary fat addition. The rumen-inert fat tended to increase long-chain fatty acids and to reduce short-chain fatty acids of milk. These findings suggest that fat supplementation at 3% of the total diet can increase fat percentage in milk from high producing dairy goats in early lactation.